Many Australians will be disappointed to hear that they’ll need to wait a little longer for the lifting of a ban on hemp foods. It was hoped that the ridiculous ban would be lifted this month after Food Standards Australia New Zealand approved food made from the seeds of low THC hemp in July. “Based on previous work done in assessing applications for permitting the sale of food derived from low THC hemp, FSANZ considers low THC hemp seed foods to be safe for human consumption,” said FSANZ Chief Executive Officer Steve McCutcheon at the time. The changes were to be made at the November Legislative and Governance Forum on Food Regulation (the Forum). However, the ABC reports the decision has been delayed “to enable resolution of technical aspects” and won’t be made until a meeting of the Forum in April next year. 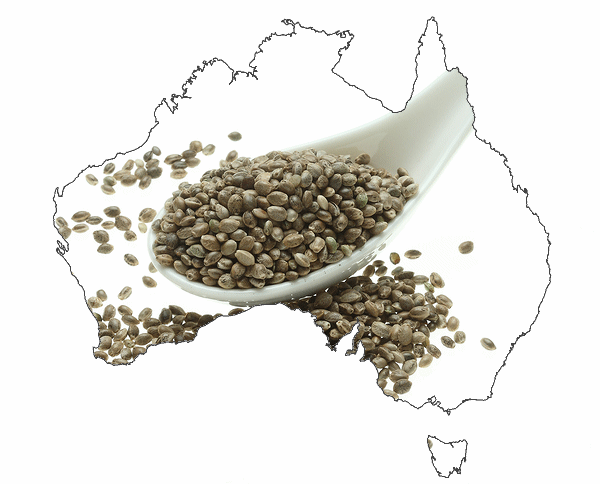 Australia is the only country in the world where hemp foods of any type are banned. Lifting the ban has been a hard-fought battle that has gone on for well over ten years. Up to 35% of the weight of hempseed is an edible oil that contains essential fatty acids – linoleic acid (LA) Omega-6, alpha-linolenic acid, omega-3 (ALA), gamma-linolenic acid, omega-6 (GLA) and stearidonic acid, omega-3 (SDA). It’s thought hempseed oil may be even better for the heart than olive oil. If any food deserves the label of a “superfood” – hemp seeds would be among the best candidate. They are a traditional food that has been consumed in China for thousands of years and contain extremely low levels of the psychoactive compound THC, in some cases none at all. Even in New Zealand hemp seed oil is available legally as a food product. What makes the situation in Australia even more mind- boggling is that poppy seeds, an oilseed obtained from the opium poppy, are consumed widely across the country. Fingers crossed for April 2017 when rules and common sense will hopefully finally shake hands, enabling Australians to finally utilise this highly nutritious, harmless and valuable food source – without having to break the law.